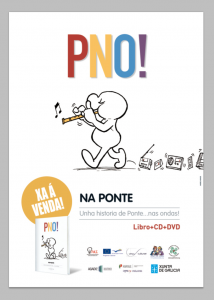 NA PONTE is a joint undertaking edited by Ponte…nas ondas! on its 20th year of existence. This unprecedented experience has achieved major success in its diverse scope of action. 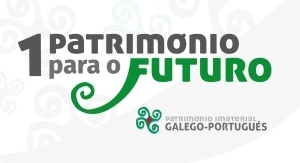 NA PONTE is the result of many wills; the will of the student body, the faculty, media professionals, radio stations, researchers, anthropologists, teachers, «bearers of cultural heritage» and the recipients of this work. 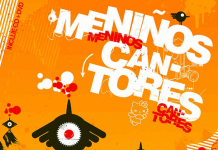 Throughout two decades, Ponte…nas ondas! has produced and created materials in different formats. 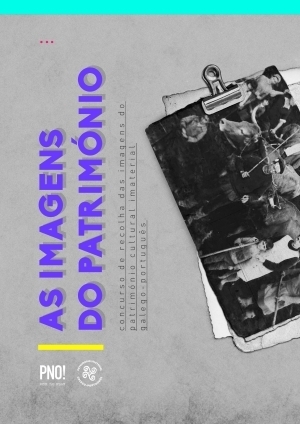 This work is composed of recordings, texts, drawings, photographs, songs, signs of the common Galician-Portuguese heritage… a universe full of heritage that built itself during different times and contexts, as in school and high school’s classrooms, theaters and concert halls, radio studios, museums, squares and public spaces. 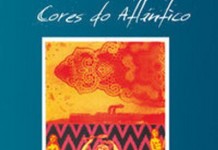 These materials also have different origins: from Brazil to Galicia, including Angola, Mozambique or Portugal. A genuine teamwork come true thanks to friendship and the common Galician-Portuguese heritage, reflecting our true identity during the process. It is a work of different generations, and now represented by the youth.